Nicolas Fatio (1664-1753) was a Swiss mathematician and natural philosopher who explained the action of gravity by aid of basic mechanical processes, such us pressure forces caused by pushes, without to use of any action at a distance. The principle of this theory is simple and revolutionary: an omni-directional flux of small particles permeates all of space and tends to push objects together because they mutually shield each other from this flux. 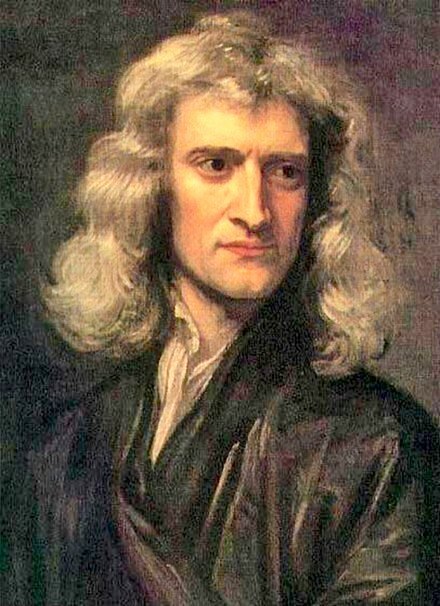 Between 1689 and 1693 Fatio was one of Isaac Newton's closest friends. They planned a second edition of the Principia together. ''About ten years after Fatio’s death, another young scientist from Geneva, named Georges Louis Le Sage, was preparing to write a history of theories of gravity, and began trying to acquire Fatio’s papers. He contacted the landlord of Fatio’s last residence, and through him was able to track down and acquire some boxes containing Fatio’s papers. He was surprised to find that the great majority of the writings were on prophetic and religious issues (just as Lord Keynes found when he examined Newton’s papers), but among these papers he also found writings on Fatio’s gravitational theory. Oddly enough, Le Sage never did write a history of gravitational theories, but in 1758 he published his 'own' theory of the cause of gravity (along with a peculiar theory attempting to account for the cohesion of bodies)… which was nothing but a slightly less sophisticated version of Fatio’s theory. Ironically, the most complete exposition of this theory that Lesage ever wrote was entitled “Newtonian Lucretius” (1782), in which Le Sage presented the theory as a natural extension of the ideas of Lucretius, supposing the latter had had the benefit of knowing Newton’s laws. Lesage also mentions that he conceived the idea for his theory of gravity when he was just a boy, conceeding that the idea is fairly obvious. Le Sage does not once mention Fatio’s name in this paper (just as he had not mentioned Fatio in 1758), a fact which is especially surprising because – considering the poem submitted to the Paris Academy, and Fatio’s close association with Newton – one would have to say that Nicolas Fatio was literally the Newtonian Lucretius incarnate. 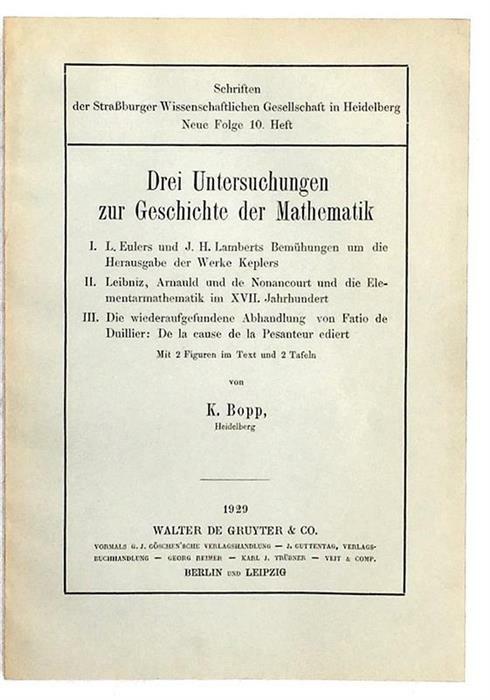 De la cause de la Pesanteur / On the Cause of Gravity in: Drei Untersuchungen zur Geschichte der Mathematik, Walter de Gruyter & Co., Berlin - Leipzig, (Schriften der Strasburger Wissenschaftlichen Gesellschaft in Heidelberg, Neue Folge 10 heft) First Edition, 1929, pp. 22-66, fine condition.